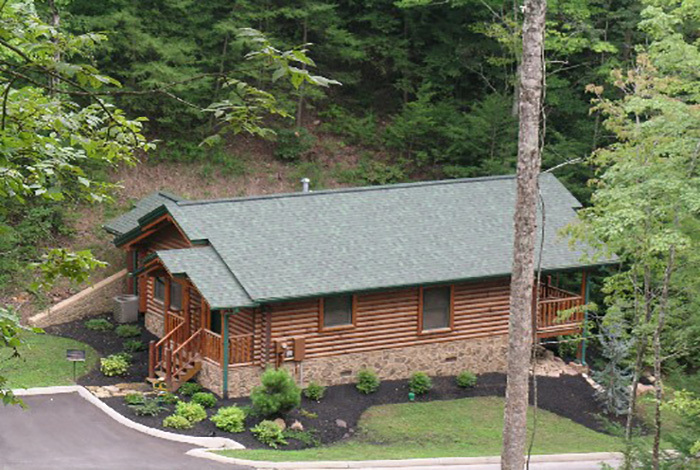 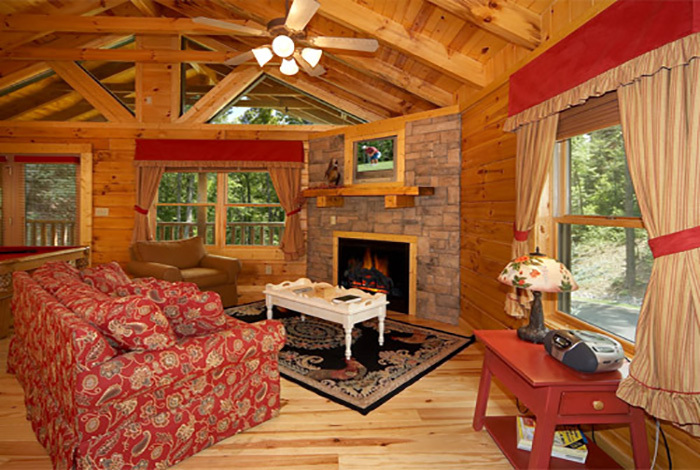 Feel like you're on your honeymoon again at The Honeymooner, a cozy little cabin on Gatlinburg Falls Resort. 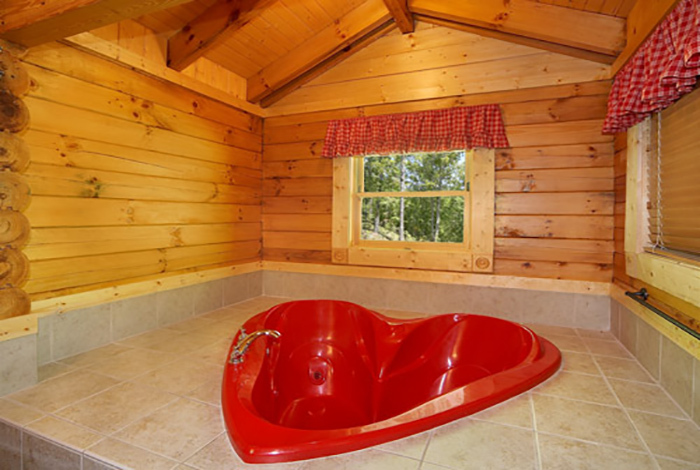 It's truly a honeymooners paradise complete with three ways to soak your cares away - a hot tub on deck, a heart-shaped jacuzzi tub in the king master suite, and double shower with a jetted, vertical spa. 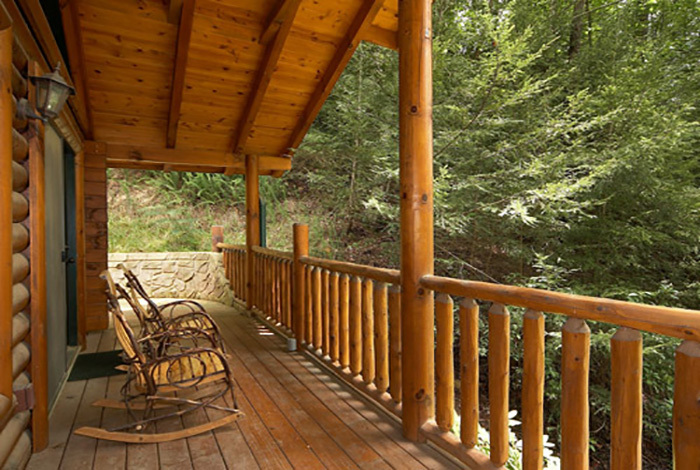 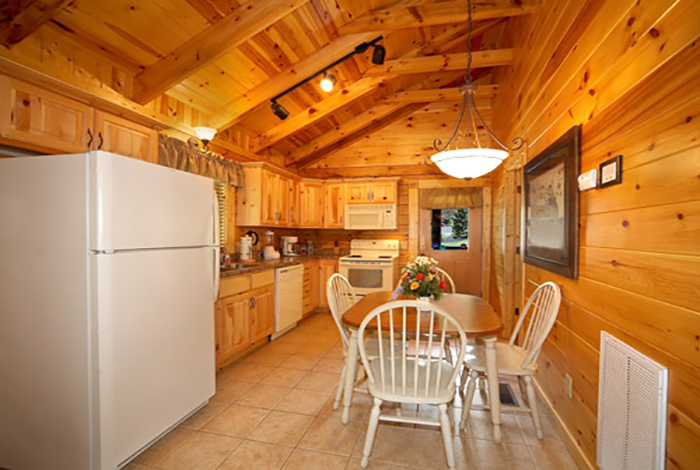 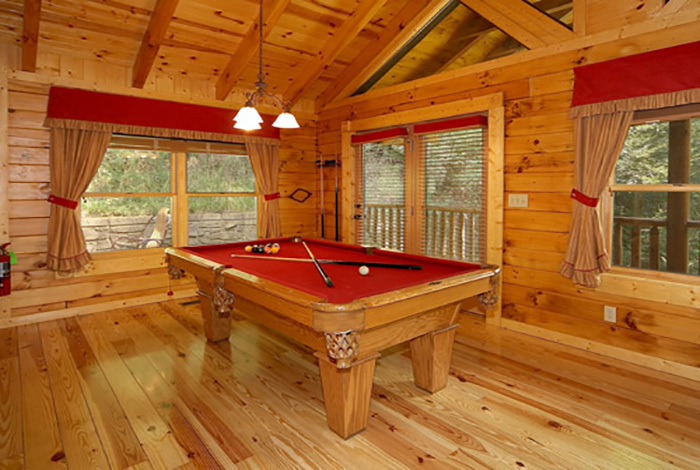 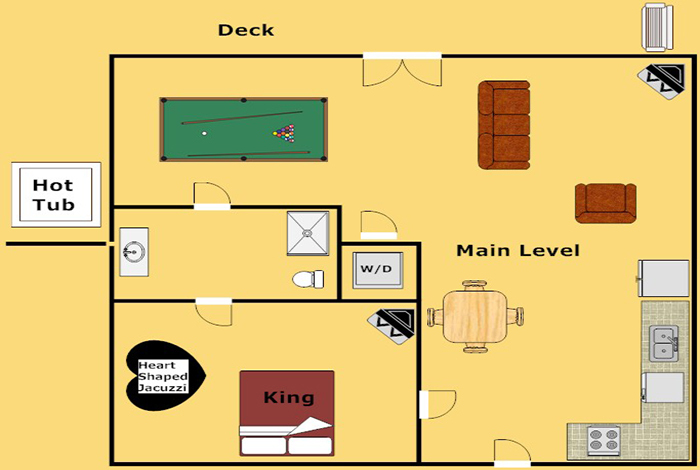 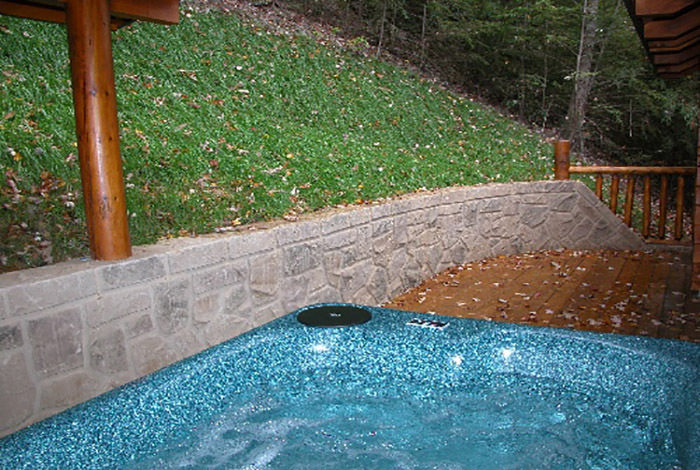 This Gatlinburg cabin is exquisitely furnished for romance and offers the game couples love to play pool. 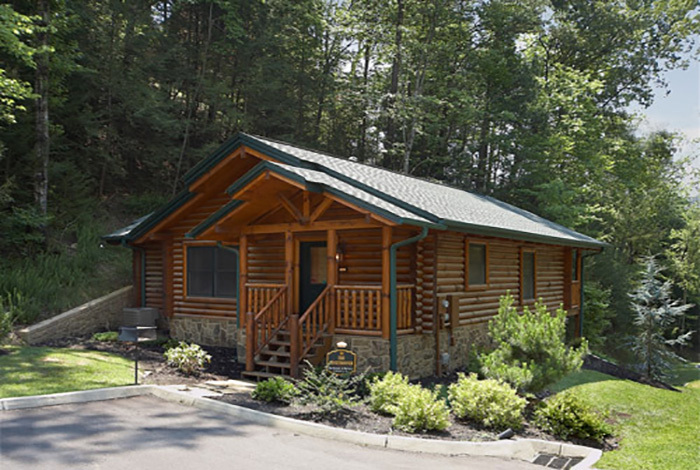 Schedule an in-cabin massage for maximum indulgence. 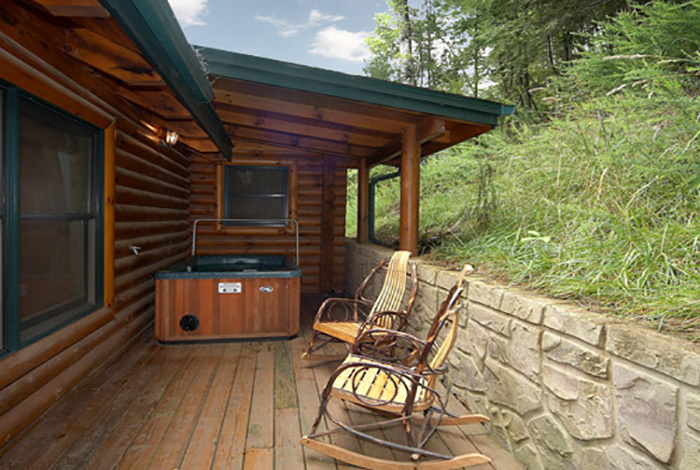 Take a second honeymoon every year at The Honeymooner.